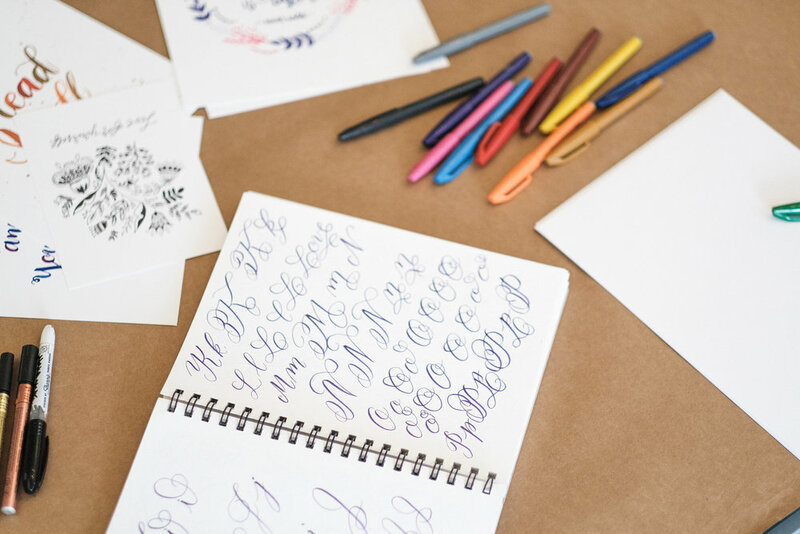 A list of all of my favorite lettering supplies, with links to where to buy them! I love calligraphy supplies. There's something truly wonderful about the feel of a new pen or marker - it's like a world of untapped possibilities! I often get asked by my students what supplies I recommend for practice. Rather than continue to give advice piecemeal, I've compiled a comprehensive list of my favorites, organized by category and where to buy them. Feel free to email me at danielle@rothbyrnscreative.com with any questions about the supplies on this list! Disclosure: The links below are affiliate links, which means that I will be receiving a small commission for each sale at no additional cost to you. Amazon: (please note: these links are formatted to be used with Amazon Smile, which donates a portion of each purchase to charity. You can learn more about signing up for this free program here). John Neal Bookseller is my preferred supplier for calligraphy specialty items. They're so friendly and helpful! While you can purchase many calligraphy supplies on Amazon (see below), there are some pointed pen supplies that will be both better quality and more cost effective from a specialty shop. Please use the link below to access my teaching page, which has photos of all of the supplies I recommend!